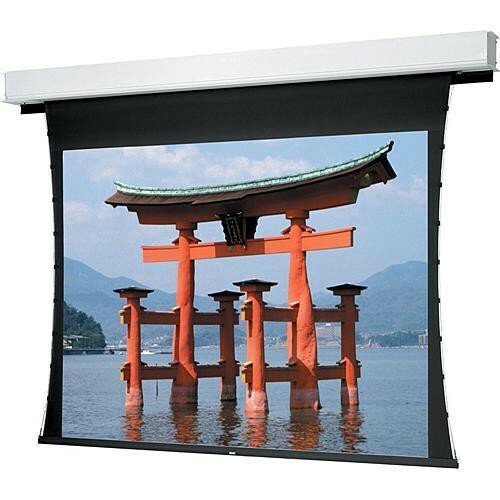 The Dalite 65x116" Deluxe Advantage Electrol Projection Screen () is a unique design. Construction of this ceiling recessed screen permits the case to be installed first and the fabric added later once a suitable projection surface is decided on. This is a big "plus" since companies constructing viewing rooms may not be certain of what they need in a screen. However, the Advantage permits the basic frame to be installed in the ceiling - ready for a finished fabric assembly to be added when all is prepped. The Advantage Electrol has several options which make it a great choice for schools, lecture halls, libraries and corporate environments. Because it can be installed during the construction phase of your office, there is no pressure to buy a "finished" screen while budgets may still be on the table. The option of many remote controls also adds to its flexibility. This item is ONLY wired for 220V, European voltage.